NORTH CAROLINA, (BASN)—1. What can a good Harvard education get you today? A good Harvard education can get you a job as a NFL quarterback for the Buffalo Bills. 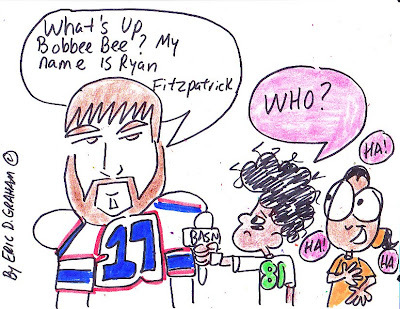 2. Who should have drafted Tim Tebow? Tim Tebow should have been drafted by the Miami Dolphins. Besides, there is no place like home. 3. Do you think the Patriots will cut WR Chad OchoCinco? Even though, there is no production, there is also no disruption either. So, I think the Patriots will keep Chad Ochocinco on the roster until the new season of Basketball Wives airs. 4. 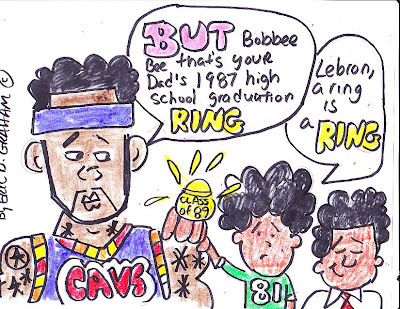 Did you hear that Lebron is going to workout with Hakeem on his lowpost game? The King + Dream = A Ring. 5. Do you watch NFL Total Access? Yes, I watch NFL Total Access. 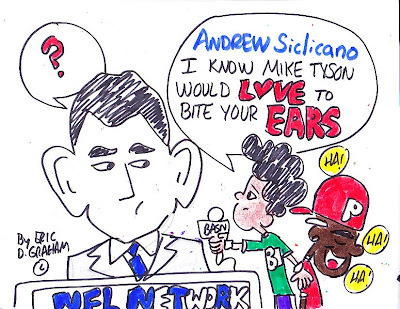 And I bet Mike Tyson would love to bite the ears of host Andrew Siclicano. 6. What’s the other-F word? I don’t know who “Big Pookey” is!! But I know, I don’t want to meet him. 8. What is the easiest gig in sports? The easiest gig in sports is a tennis analyst according Andy Roddick. 9. 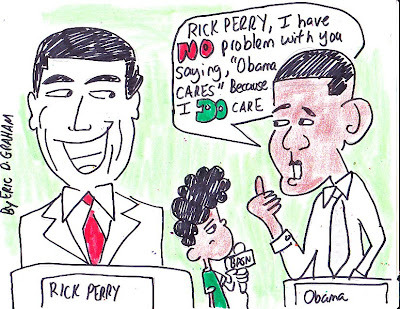 Are you for or against Obama Care? 10. Did you hear that Jeremy Shockey saved someone’s life from choking? Yes, when I first heard it, I thought it was Lebron James.